I’ve taken a number of great vacations in my lifetime. Each vacation I’ve taken has left me with fond memories, valuable lessons, new friends, new-found knowledge and a new outlook on my surroundings and the world at large but one recent vacation, in particular, left me with more than I could ever imagine gaining from a week-long trip. I didn’t have to travel very far to this destination. In fact, I technically didn’t even have to leave the continent. Only a short bus ride to the airport and a 4-hour flight was all that was needed to get myself to what is probably one of the most unique and diverse places in this hemisphere. Last spring when I was researching potential places to take my yearly holiday, a number of destinations were put on the table. 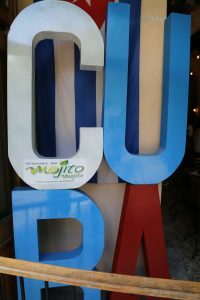 Costa Rica, Barbados, Cuba and various places in the United States such as Texas, Illinois, Montana and California all made the final cut but in the end, it was Cuba that won the call to my travel agent and my heart after it was all said and done. Before I even set foot on the island of Cuba, my reasons for going were very clear; Beautiful beaches, unique culture, low crime rate and, of course, the city of Havana. I also wanted to experience a place that was seemingly untouched by the outside world and wasn’t “Americanized” like a lot of the other Caribbean islands. 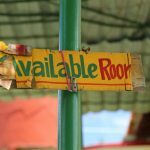 Although I wanted to travel independently, I erred on the side of caution since I was traveling alone and did what I normally wouldn’t do; I booked an all-inclusive beach resort vacation package. This seemed like the best way to approach my first visit to a new country alone and this type of set up allowed me to be safe and in the company of fellow travelers while having the option to leave the resort whenever I wanted to…which I did and I have no regrets in doing so even though my family and friends back home thought I was crazy for stupidly “putting my safety and my life in danger”. 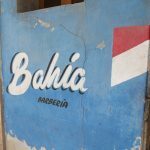 I arrived in Varadero very late on a Friday night and had the sad experience of seeing first hand what it is most Canadians do while vacationing on an all-inclusive resort in the Caribbean. Loud screaming, cursing, arguing and drinking the likes I have not even seen during my younger days of traipsing around on George St. in St. John’s, Newfoundland, one of the biggest party streets in North America. It got so bad near the pool area that I just stayed away from it for the rest of my time there. And it continued like this the entire week, with new revelers arriving by the bus load every day. I tried to join in on the partying my second night there but quickly realized that spending my valuable vacation time in a state of paralyzed drunkenness and nursing hangovers, dehydration and broken ankles (like one poor young man who spent the rest of his vacation in bed, unable to walk) was not the way I wanted to spend my time in the country. I wanted to see and experience the real Cuba and I wanted to remember and savor every moment! My first morning in Varadero was supposed to be spent at a meeting with some sort of tour coordinator or something like that. I didn’t debate for even a minute in my head about whether I should go to this meeting or not. The decision was simple; a waste of valuable time because I had no interest in following some made-up, pre-thought out itinerary that took place entirely on the resort. I have to hand it to them though because the resort employees did a very good job at ensuring there were enough organized and pre-planned activities so that visitors wouldn’t want or need to leave the resort. I was even told by several tour organizers who tried to sell me organized (and expensive) excursions that it was simply too dangerous to venture off the resort on my own. Brainwashing and fear-mongering are two things that do not and never will work on me; not only did I leave the resort on my own every day, I also mingled with and made friends with many of the locals and there were no attempts to pickpocket me, murder me, rob me or maim me in any way. In fact, the Cuban people were among the nicest people I have ever met. When I travel to another country, I want to meet the people who live there and learn more about how they live and do things. I can meet fellow Canadians at home. While the other guests at my resort were mingling with one another and only seeking out others from home, I was getting to know the groundskeepers, coffee servers, housekeepers and bartenders. I learned a lot about the Cuban way of life just from chatting with these people during my morning coffee or evening nightcap in the common area. One of the things I learned about Cuba is that our perceptions about their political system are slightly skewed. We have always been told that Communism in every form and even speaking the word is pure evil but I learned that, although a lot of the Communist ideals in Cuba are not ideal for the people, a lot of other things are actually better than I have it here in Canada, at least based on the way I look at the world and the direction we are headed. With this newfound knowledge, I came to the conclusion that Communism, if done right, can be a wonderful system that benefits everyone. For example, the average Cuban makes the equivalent of fifteen dollars a month and acquires his or her food and other goods through a rationing system. Yes, this rationing system means there are caps on how much food a person can eat each month but no one is starving to death in Cuba. Imagine if we all rationed what we ate and just ate what we needed; no one would go hungry and maybe there would never be a shortage of food and every single person on the planet would get their fair share. Everyone eats, no one is homeless, education is free, healthcare is free and among the best in the world and, as one will notice while interacting with the Cuban people, they are always smiling and always cheerful. They must be doing something right! I’m not saying their system is flawless because it is far from it, but there are many flaws in other systems too. Other things I noticed about the Cuban people include their lack of material possessions, their devotion to family and their knack for being very social. And by social, I am not talking about chatting it up with someone they will never meet face-to-face on an online dating site or chat-line. You see, the average Cuban does not own a computer and rarely has access to the internet and this reflects largely on their way of life. When I drive or walk around my neighborhood here in Canada, I rarely see people sitting outside on their steps. Even beaches and parks are empty on beautiful sunny days and the only time I see children is when they are walking to and from school. While walking around the streets of Havana and Matanzas City, there were people everywhere. Adults sitting on stoops talking to their neighbors (I barely even know my neighbors), vendors chatting it up on the sidewalk to anyone who will lend an ear and children playing games in the street and well, being children. It was like I went back in time to the 1960’s when family and friends and living life to the fullest was at a forefront. While the rest of the world is working eighty hours a week to pay their bills racked up due to the frivolous spending they need to do in order to keep up with the Joneses while their children are being raised by a television and communication is done at the push of a button instead of a knock at a door, Cubans have learned to survive with very little while maintaining a positive attitude that is rare in our society. In Cuba, no one cares what material possessions their neighbor has, no one is in competition with one another and family is the most important thing of all. So what did I learn on my trip to Cuba? I learned that the country is not as dangerous as the resort operators told me it was. Yes, pick-pocketers and muggers may target the odd tourist but this is far more rampant here at home. If people continue to believe that Cuba is dangerous and the only way to experience the country is to stay on the resort and get drunk or embark on expensive guided tours, many travelers will continue to miss out on the real, genuine Cuban way of life. 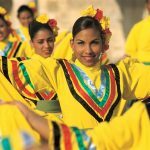 The Cuban people are generous, laid-back, friendly people who embrace foreigners who want to see and learn more about their beautiful country. The cafeteria-style meals and loud stereo systems pumping American music at the resort disco do not do justice to what the real Cuba is all about. People complain that the food is bland but these same people have never accepted an invitation to have a real, home-cooked meal in a Cuban family’s home. I also learned how I do not want to spend my next vacation in Cuba. The next time I go (and there will be a next time), I will stay in a casa particular with a Cuban family. I learned that a week without my cell phone and laptop is a break from the reality that is the rat race of the rest of the world. And most importantly, I learned that there is still at least one place left on this continent where the people and the experiences one has are more important that their material possessions and I learned that it is possible to be happy with very little and enjoy life to the fullest like many Cuban people do every day despite hardships that most of us here in Canada and the United States will never have to endure. As far as discontented Cubans go? I understand the plight of the Cuban people. I am not brainwashed or naïve enough to believe that everything is sunshine and lollipops (or sunshine and Mojitos) in this country that is so geographically close but so vastly different from the rest of North America. If I could have ten minutes with a Cuban whose dream it is to immigrate to another country so they can have all the “luxuries” that we have, I would remind him that the grass always seems greener on the other side. While material wealth and opportunity are easier to acquire on the other side, there is always a price to pay and sacrifices to be made. I would tell him that not all that glitters is gold and the way of life we have in the “free” world is not always free. The price that we pay may not be noticeable to the average person but one only needs to turn off the television, the computer and the video game system and take a real look around them and they may be quite surprised to see that the price we pay to live the lives we live in the “developed” world are proving to be high as our cultures disappear, our lives become overrun with trivial things, our health fails, morals take a steep nosedive and children no longer know how to be children. In this regard, the Cuban people who fight to keep their culture intact, who continue to instill morals in their children, who get to know and love their neighbors, who make every attempt to be happy with what they have despite adversity are many steps ahead of the rest of us. 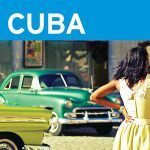 What great observations about the people and culture of Cuba, especially the lifestyle that doesn’t require the constant “getting and spending” that we are used to. It’s great for you as a Canadian to share your impressions, as Americans can’t travel there alone, which I’m sure you know. I had a research grant a couple years ago to study tourism and was able to go there on my own. 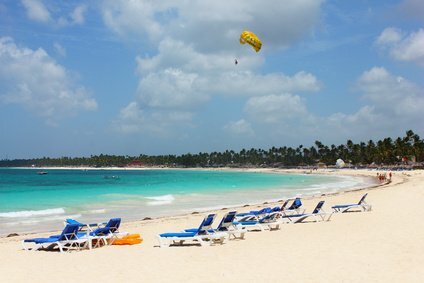 There were no Americans in Varadero, which is really too bad! thanks for sharing this! Wow……you didn’t understand Cuba very well. Sure they get food from the government……..3 days worth every month. They make $10-$20 per month and have to figure out how to get food, clothing, deodorant, perfume, and everything else out of it. However things aren’t cheap. You’d know that if you would have gotten out of Varadero. Nearly every Cuban is forced into black market activities like “buying meat”. Cuba is an international welfare state. If the international community stops giving them food, people starve. Sure they can all read and health care is free but they can’t read very much. They can’t read what you wrote because the government controls everything. Sure they study history…..but only Cuban history. I suspect you don’t speak much Spanish. When you talk to the Cubans about what life is REALLY like outside of the resorts, you’ll start to understand the terrible burden that the Cuban people are under. You went to a Caribbean beach resort for a week. That’s your story. You still don’t understand Cuba.